Lyme Disease is the fastest growing vector-borne illness in the United States (surpassing AIDS 6-fold). It is an infectious disease caused by the bacteria ‘Borrelia Burgdorferi’ which is transmitted by ticks. Annually there are over 300,000 new cases of Lyme Disease, and it is growing every year. The symptoms of Lyme Disease begin in acute stages where treatment can prevent and stop any major illness. However, if it is not caught then the bacteria are able to spread throughout the body creating lasting damage and it becomes Chronic Lyme Disease. A dangerous parasite and infection carrier mite sitting on a green leaf. Alternative medicine– is defined loosely as a set of products, practices, and theories that are believed or perceived by their users to have the healing effects of medicine, but whose effectiveness has not been clearly established using scientific methods, or whose theory and practice is not part of biomedicine, or whose theories or practices are directly contradicted by scientific evidence or scientific principles used in biomedicine. Antibiotics – Oral antibiotics –These are the standard treatment for early-stage Lyme disease. These usually include doxycycline for adults and children older than 8, or amoxicillin or cefuroxime for adults, younger children, and pregnant or breast-feeding women. A 14- to 21-day course of antibiotics is usually recommended, but some studies suggest that courses lasting 10 to 14 days are equally effective. Intravenous antibiotics – If the disease involves the central nervous system, your doctor might recommend treatment with an intravenous antibiotic for 14 to 28 days. This is effective in eliminating infection, although it may take you some time to recover from your symptoms. Intravenous antibiotics can cause various side effects, including a lower white blood cell count, mild to severe diarrhea, or colonization or infection with other antibiotic-resistant organisms unrelated to Lyme. Bartonella– A common co-infection that comes with Lyme disease, also carried by ticks. This manifests in many ways, but typically cause more neurological based symptoms. Bartonella Series Therapy– My treatment being used to rid my body of Bartonella. It is homeopathic. I take doses of dead Bartonella bacteria in different frequencies that elicit an immune response in my body to make Antibodies to the disease. My body will fight this disease off with my own immune system, antibodies, and peptides. Hyperthermia – is elevated body temperature due to failed thermoregulationthat occurs when a body produces or absorbs more heat than it dissipates. Fever is one of the body’s defense mechanisms, that is activated by external factors such as: infections, intoxications and internal factors such as: chronic diseases, like cancer. Fever has different symptoms, among them is hyperthermia. Brain feedback – Neurofeedback is a type of biofeedback that measures brain waves to produce a signal that can be used as feedback to teach self-regulation of brain function. Borrelia Burgdorferi– This is the clinical term for Lyme disease bacteria. Borrelia is in the shape of a spirochete. Borrelia Series Therapy – My treatment for Borrelia. Same homeopathic concept mentioned above. Burbur– I talk about this a lot. This is my biggest arsenal in the war against a herx. This herb helps to drain the liver and kidneys and quickly gives me relief. I refer to this quite often. Cancer – A term for diseases in which abnormal cells divide without control and can invade nearby tissues. Cancer cells can also spread to other parts of the body through the blood and lymph systems. There are several main types of cancer. Carcinoma is a cancer that begins in the skin or in tissues that line or cover internal organs. Sarcoma is a cancer that begins in bone, cartilage, fat, muscle, blood vessels, or other connective or supportive tissue. Leukemia is a cancer that starts in blood-forming tissue, such as the bone marrow, and causes large numbers of abnormal blood cells to be produced and enter the blood. Lymphoma and multiple myeloma are cancers that begin in the cells of the immune system. Central nervous system cancers are cancers that begin in the tissues of the brain and spinal cord. Also called malignancy. Complementary medicine– is used together with mainstream medical care. An example is using acupuncture to help with side effects of cancer treatment. When health care providers and facilities offer both types of care, it is called integrative medicine. Alternative medicine is used instead of mainstream medical care. Detoxing– When a Herx is experienced the best thing to do is detox. This is done in many different ways, often times with the use of Epsom salt, enemas, lemon water, or other herbs which help to purify the body and drain the liver/kidneys/lymphatics to more quickly eliminate the toxins and reduce discomfort. DNA – Is an acid in the chromosomes in the centerof the cells of living things. deoxyribonucleic acid; a nucleic acid that is the main constituent of the chromosomes of all organisms (except some viruses). DNA determines the particular structure and functions of every cell and is responsible for characteristics being passed on from parents to their children. DNA is an abbreviation for ‘deoxyribonucleic acid. DNA Test – A DNA test is a test in which someone’s DNA is analyzed, for example, to see if they have committed a particular crime or are the parent of a particular child. Elisa Test – An enzyme-linked immunosorbent assay, also called ELISA or EIA, is a test that detects and measures antibodies in your blood. This test can be used to determine if you have antibodies related to certain infectious conditions. Antibodies are proteins that your body produces in response to harmful substances called antigens. Energy – The capacity or power to do work, such as the capacity to move an object (of a given mass) by the application of force. Energycan exist in a variety of forms, such as electrical, mechanical, chemical, thermal, or nuclear, and can be transformed from one form to another. Epsom Salt– This is a form of detox which is very popular and quick for Lyme patients. The use of Epsom Salt in a full bath or foot bath is effective because the Magnesium Sulfate does 2 things: 1. Makes the body alkaline which the Lyme bacteria cannot thrive in 2. Stimulates the liver to drain and flush out toxins. These speeds up the length of a herx. Exercise– is physical activity that is planned, structured, and repetitive for the purpose of conditioning any part of the body. Exercise is used to improve health, maintain fitness and is important as a means of physical rehabilitation. Fibromyalgia – Is a disorder characterized by widespread musculoskeletal pain accompanied by fatigue, sleep, memory and mood issues. Researchers believe that fibromyalgia amplifies painful sensations by affecting the way your brain processes pain signals. Symptoms sometimes begin after a physical trauma, surgery, infection or significant psychological stress. In other cases, symptoms gradually accumulate over time with no single triggering event. Women are more likely to develop fibromyalgia than are men. Many people who have fibromyalgia also have tension headaches, temporomandibular joint (TMJ) disorders, irritable bowel syndrome, anxiety and depression. While there is no cure for fibromyalgia, a variety of medications can help control symptoms. Exercise, relaxation and stress-reduction measures also may help. Genome – A genome is an organism’s complete set of DNAs, including all of its genes. Each genome contains all of the information needed to build and maintain that organism. In humans, a copy of the entire genome—more than 3 billion DNA base pairs—is contained in all cells that have a nucleus. Genes – The basic physical unit of heredity; a linear sequence of nucleotides along a segment of DNA that provides the coded instructions for synthesis of RNA, which, when translated into protein, leads to the expression of hereditary character. A portion of a DNA molecule that serves as the basic unit of heredity. Genescontrol the characteristics that an offspring will have by transmitting information in the sequence of nucleotides on short sections of DNA. A gene is the part of a cell in a living thing which controls its physical characteristics, growth, and development. Herx (Herxheimer Reaction) – This is also often referred to as “die-off.” When you are killing off pathogens, such as the spirochete bacteria that causes Lyme disease, they release an endotoxin into the blood stream. When the die off of these pathogens happens quickly the body gets overloaded with the toxins and this leads to what is called a herx. The liver and kidneys cannot keep up with detoxing quickly enough, leading to this feeling. A herx tends to cause a flare of the current symptoms as well as flu like symptoms such as a fever, exhaustion, nausea, dizziness, etc. Homeopathic Medicine– A lot of people are generally confused as to what Homeopathy is. Founded in the 19th century, a practice that is based on the concept that disease can be treated with minute doses of drugs thought capable of producing in healthy people the same symptoms as those of the disease being treated. This principle is similar to the concept behind exposure therapy for allergies, but the amounts of active medication used in homeopathy are much smaller. ILADS – Is a nonprofit, international, multidisciplinary medical society dedicated to the appropriate diagnosis and treatment of Lyme disease and its associated illnesses. ILADS promotes understanding of Lyme and associated diseases through research, education and policy. Inflammation – a localized physical condition in which part of the body becomes reddened, swollen, hot, and often painful, especially as a reaction to injury or infection.Inflammation is a defense mechanism in the body. The immune system recognizes damaged cells, irritants, and pathogens, and it begins the healing process. When something harmful or irritating affects a part of our body, there is a biological response to try to remove it. The signs and symptoms of inflammation can be uncomfortable but are a show that the body is trying to heal itself. Infection – The invasion and multiplication of microorganisms such as bacteria, viruses, and parasites that are not normally present within the body. An infection may cause no symptoms and be subclinical, or it may cause symptoms and be clinically apparent. An infection may remain localized, or it may spread through the blood or lymphatic vessels to become systemic (bodywide). Microorganisms that live naturally in the body are not considered infections. For example, bacteria that normally live within the mouth and intestine are not infections. Invisible Illness– This term is often used to describe an illness where the patient looks otherwise “healthy” on the outside, but is very symptomatic or in pain on the inside. When there are no outwardly visual cues that a person is ill it can be difficult to get understanding from Doctors and friends alike. Intravenous infusion – A method of putting fluids, including drugs, into the bloodstream. Also called infusion. Intravenous infusion administration of fluids into a vein by means of a steel needle or plastic catheter. This method of fluid replacement is used most often to maintain fluid and electrolyte balance, or to correct fluid volume deficits after excessive loss of body fluids, in patients unable to take sufficient volumes orally. Lyme Diet– This diet may vary for individuals but is generally recommended to help treatment. It is free of Gluten, Sugar, Yeast, Soy, Caffeine, Dairy & is sometimes more restrictive. It calls for lots of green leafy vegetables (to help liver function). Lyme disease – Is caused by the bacterium Borrelia burgdorferi and is transmitted to humans through the bite of infected blacklegged ticks. Typical symptoms include fever, headache, fatigue, and a characteristic skin rash called erythema migrans. Medicine – The science and art dealing with the maintenance of health and the prevention, alleviation, or cure of disease. Functional – Functional medicine embraces much of the philosophy of Integrative medicine as described above but also employs a systems-oriented medical approach that works to identify and understand the underlying or root causes of a disease. This discipline considers the personalization of healthcare, as each patient care plan is distinct and unique. The relationship between patient and practitioner effectively becomes a partnership; every aspect of a patient’s medical history is reviewed in detail. Much like integrative medicine, functional medicine treats the individual rather than the disease. Medical practice or treatments that focus on optimal functioning of the body and its organs, usually involving systems of holistic or alternative medicine. Integrative medicine is a holistic medical discipline which considers the lifestyle habits of a patient. The physician works to treat the whole person rather than just the disease. The mind, body, and soul of a patient are taken into consideration to promote healing and well-being. Integrative medicine uses a combination of modern healthcare practices to diagnose and treat a patient. Treatments may include such modalities as acupuncture, yoga, or massage. This medical practice also focuses on the nutritional and exercise habits of the patient to curb factors related to obesity and diabetes. Integrative medicine physicians believe poor lifestyle choices are the root cause of many modern chronic diseases. Multiple Systemic Infectious Disease Syndrome (MSIDS) – MSIDS is a term coined by Richard Horowitz, MD, used to describe a “symptom complex” that can create persistent and tenacious illness. Instigated by Lyme disease and/or associated tick-borne co-infections, other factors, such as parasitic or fungal infections, allergies, environmental toxicity, and compromised immune function, and many other, can create an illness that may be unique to an individual, making diagnosis and treatment a difficult and puzzle-solving process. Medical Smoothies – A health shake is a blended drink intended to be healthful for one to consume and some are commercially marketed for that purpose. They are often consumed by sportspeople as part of a fitness diet or as a meal replacement (e.g. an instant breakfast). PEMF – Pulse Electromagnetic Field. Pulsed magnetic therapy, pulse magnetotherapy (PEMF) Pulsed electromagnetic field therapy (PEMFT), also known as low field magnetic stimulation (LFMS), and tumor treating fields (TTF) uses electromagnetic fields in an attempt to heal non-union fractures, glioblastomas (brain tumors) and depression. Rife Machine– Was developed by Royal Raymond Rife in the 1920s. He was an American scientist. The machine is also called a Rife frequency generator. Rife and his supporters say that each disease or condition has its own electromagnetic frequency. To use the Rife machine, you put electrical pads on either your feet or hands. These pads are attached to the machine, which produces electrical impulses. You connect yourself to the machine for a few minutes a day, several times a week. Spirochete– The shape and class that Borrelia Burgorderi is in. Under a microscope these bacteria look like a corkscrew. Spoonie– This is a term to describe those with a variety of invisible illnesses. The nickname is derived from the “Spoon Theory” and quickly became a loving way to describe warriors from all different chronic illnesses. A ‘Spoonie’ is another way to say ‘chronic illness patient. Stem Cells – An undifferentiated cell of a multicellular organism that is capable of giving rise to indefinitely more cells of the same type, and from which certain other kinds of cell arise by differentiation. 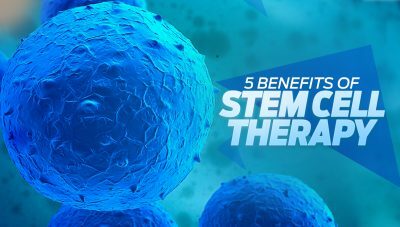 Stem cells have the remarkable potential to develop into many different cell types in the body during early life and growth. In addition, in many tissues they serve as a sort of internal repair system, dividing essentially without limit to replenish other cells as long as the person or animal is still alive. When a stem cell divides, each new cell has the potential either to remain a stem cell or become another type of cell with a more specialized function, such as a muscle cell, a red blood cell, or a brain cell. There are three types of stem cells: adult stem cells, embryonic (or pluripotent) stem cells, and induced pluripotent stem cells (iPSCs). Stem cells are the foundation for every organ and tissue in your body. There are many different types of stem cells that come from different places in the body or are formed at different times in our lives. These include embryonic stem cells that exist only at the earliest stages of development and various types of tissue-specific (or adult) stem cells that appear during fetal development and remain in our bodies throughout life. All stem cells can self-renew (make copies of themselves) and differentiate (develop into more specialized cells). Beyond these two critical abilities, though, stem cells vary widely in what they can and cannot do and in the circumstances under which they can and cannot do certain things. Supplements – The law defines dietary supplements in part as products taken by mouth that contain a “dietary ingredient.” Dietary ingredients include vitamins, minerals, amino acids, and herbs or botanicals, as well as other substances that can be used to supplement the diet. Vitamins -The word “vitamin” was coined in 1911 by the Warsaw-born biochemist Casimir Funk (1884-1967). At the Lister Institute in London, Funk isolated a substance that prevented nerve inflammation (neuritis) in chickens raised on a diet deficient in that substance. He named the substance “vitamine” because he believed it was necessary to life and it was a chemical amine. The “e” at the end was later removed when it was recognized that vitamins need not be amines.The letters (A, B, C and so on) were assigned to the vitamins in the order of their discovery. The one exception was vitamin K which was assigned its “K” from “Koagulation” by the Danish researcher Henrik Dam. Tick – 1: any of a superfamily (Ixodoidea) of bloodsucking acarid arachnids that are larger than the related mites, attach themselves to warm-blooded vertebrates to feed, and include important vectors of infectious diseases. 2: any of various usually wingless parasitic dipteran flies. Tick-borne diseases – Which afflict humans and other animals, are caused by infectious agents transmitted by tick bites. Tick-borne illnesses are caused by infection with a variety of pathogens, including rickettsia and other types of bacteria, viruses, and protozoa. Tick (blacklegged tick) – responsible for Lyme disease, the Powassan virus, babesiosis, and anaplasmosis — is now in almost half of all U.S. counties. 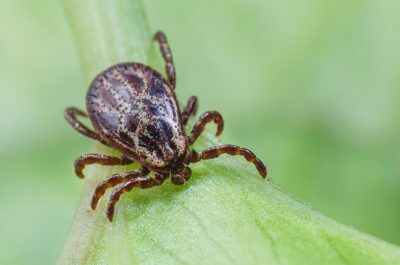 The geographic range of other ticks, including the lone star, American dog, brown dog, and Rocky Mountain wood tick, has also expanded throughout North America. They cause Rocky Mountain spotted fever, anaplasmosis, ehrlichiosis, and other infections. Western Blot Blood Test – The Lyme Disease Western Blot test is typically used as a confirmatory test for people who have had positive results from previous Lyme Disease testing. This test looks for the presence of both IgG and IgM antigen bands to confirm both recent and previous exposure. The detection of multiple bands is required for a positive result. Whole Body Vibration – (WBV) is a generic term used when vibrations (mechanical oscillations) of any frequency are transferred to the human body. Humans are exposed to vibration through a contact surface that is in a mechanical vibrating state. 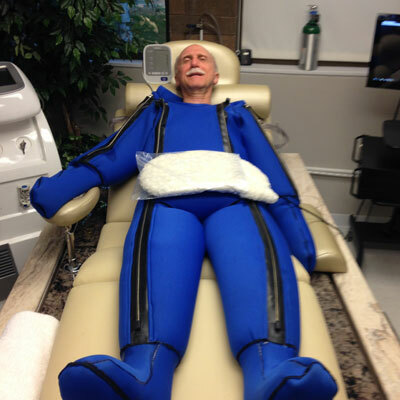 With whole-body vibration, you stand, sit or lie on a machine with a vibrating platform. As the machine vibrates, it transmits energy to your body, forcing your muscles to contract and relax dozens of times each second. The activity may cause you to feel as if you’re exerting yourself. Advocates say that as little as 15 minutes a day of whole-body vibration three times a week may aid weight loss, burn fat, improve flexibility, enhance blood flow, reduce muscle soreness after exercise, build strength and decrease the stress hormone cortisol.